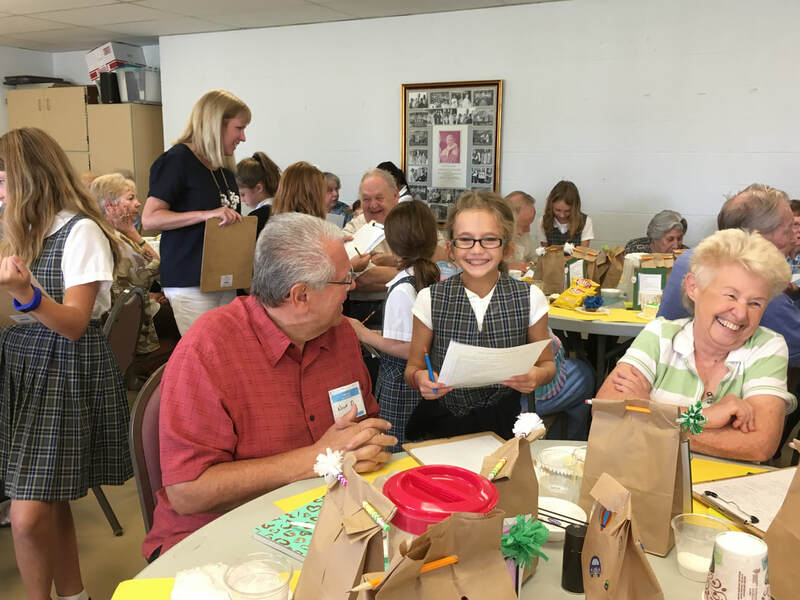 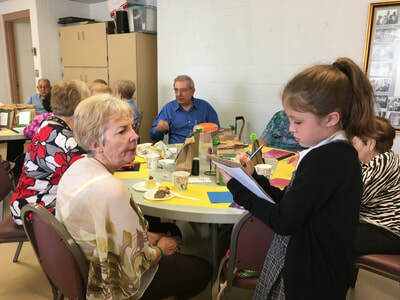 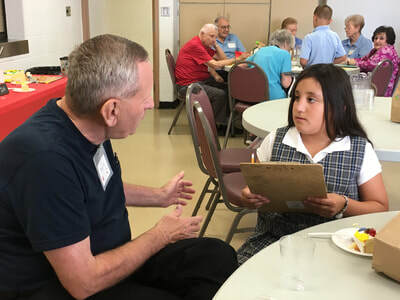 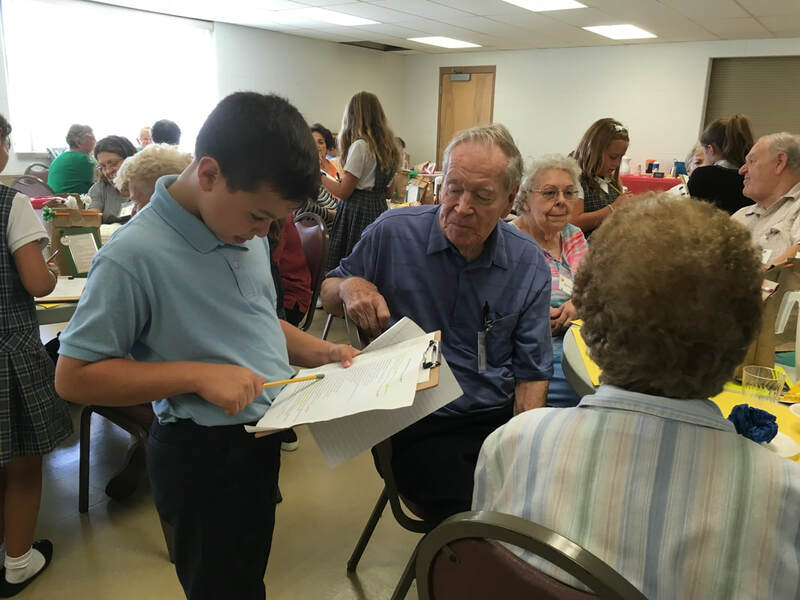 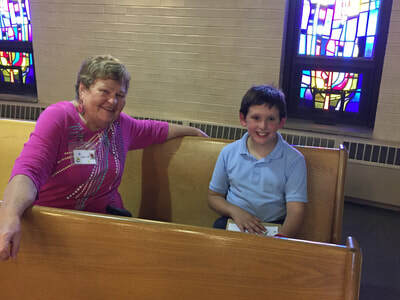 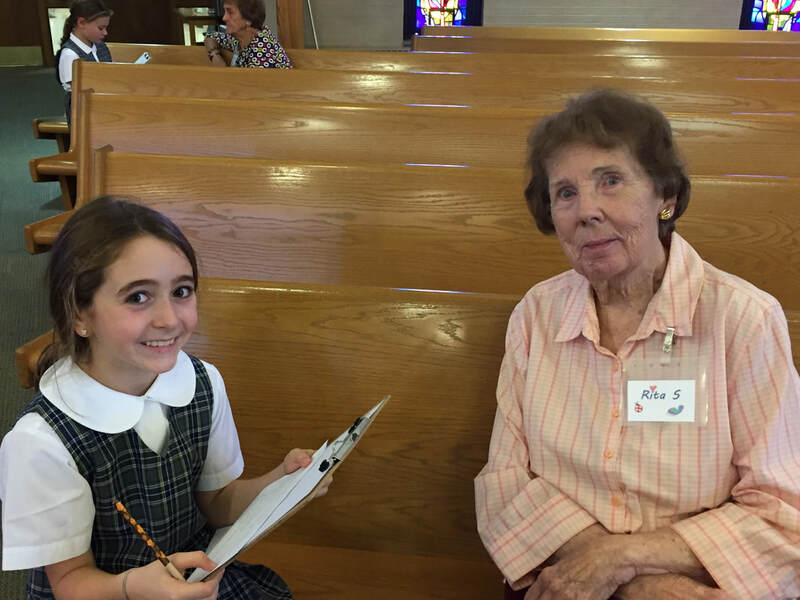 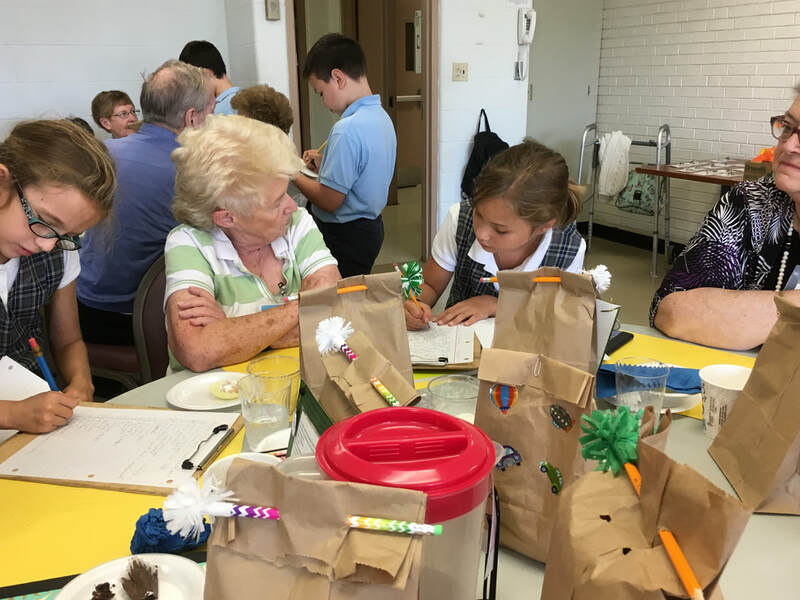 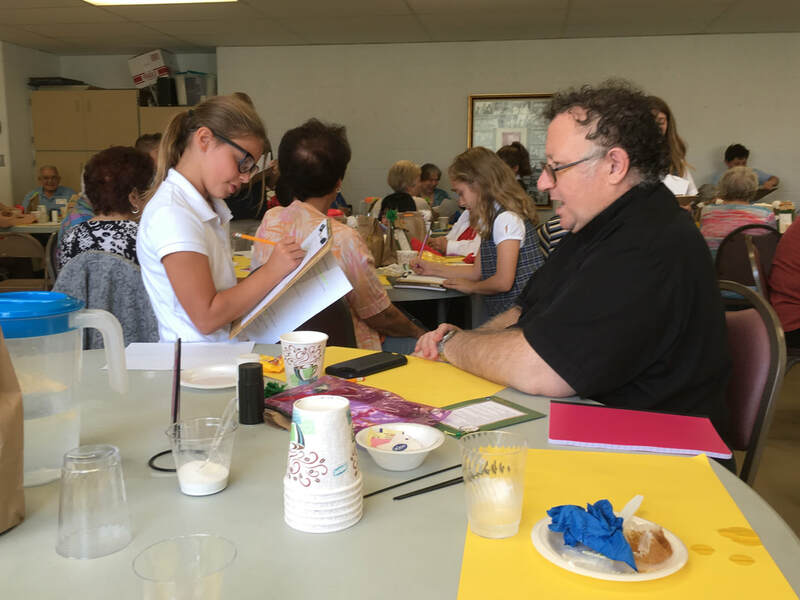 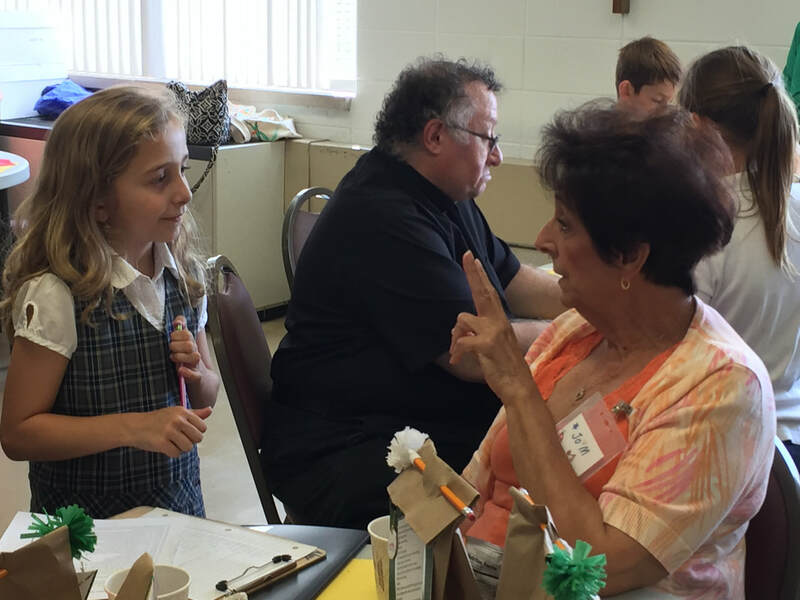 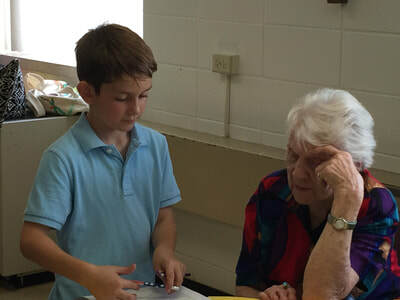 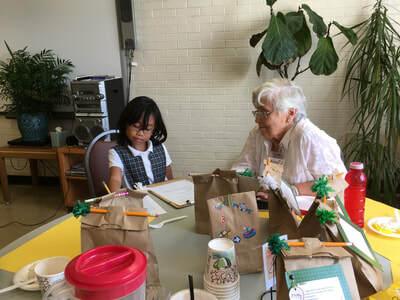 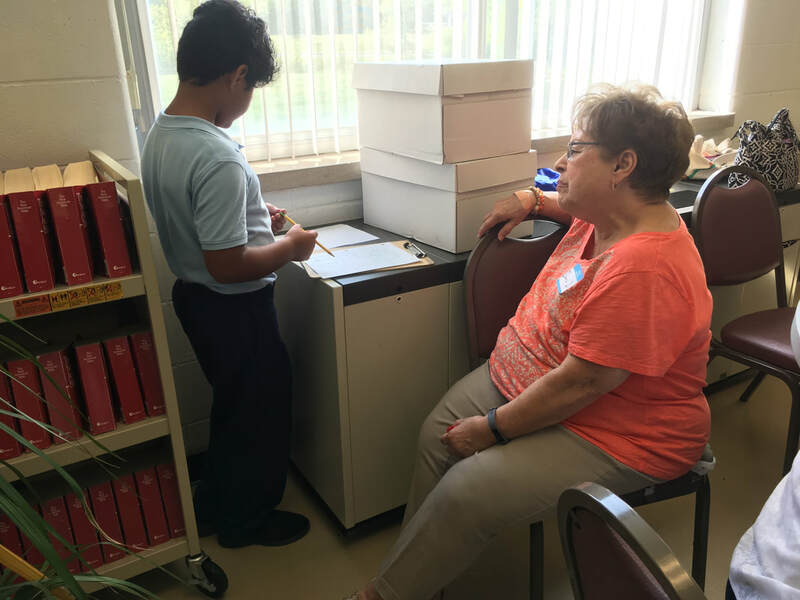 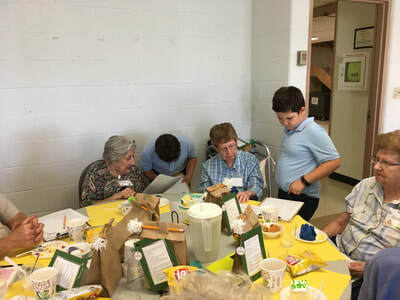 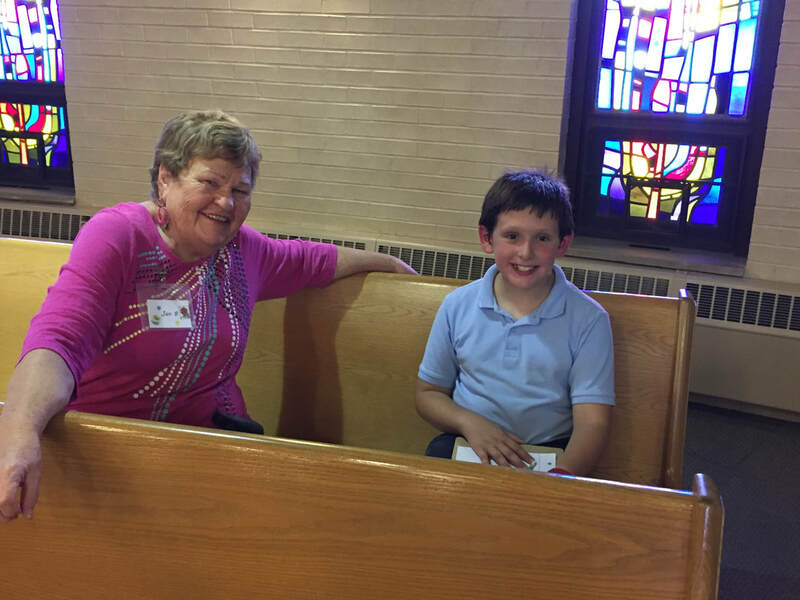 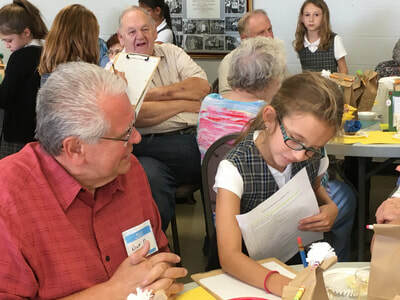 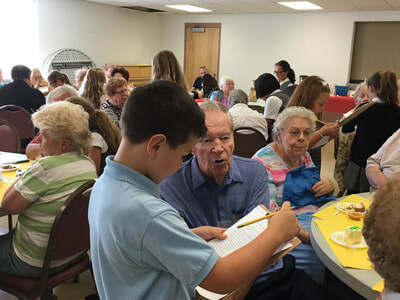 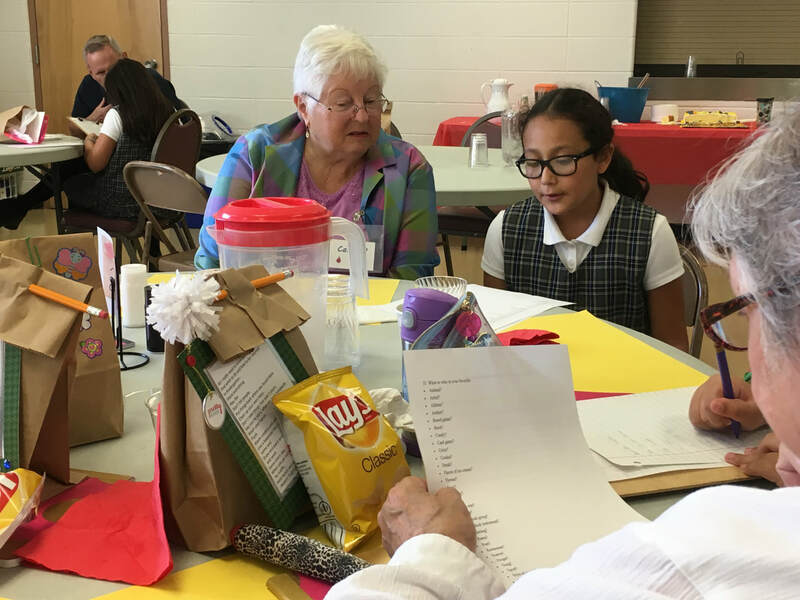 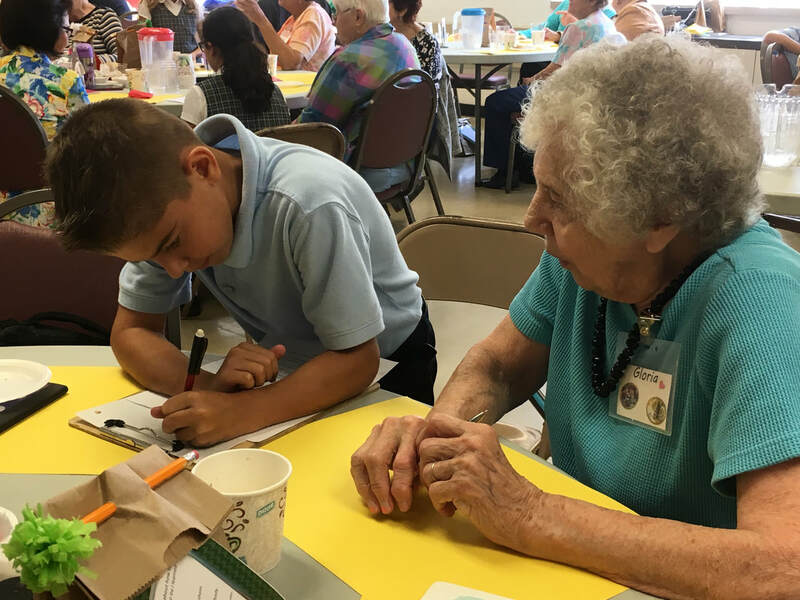 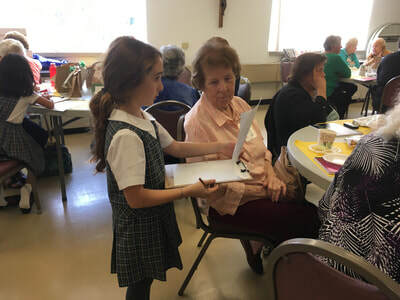 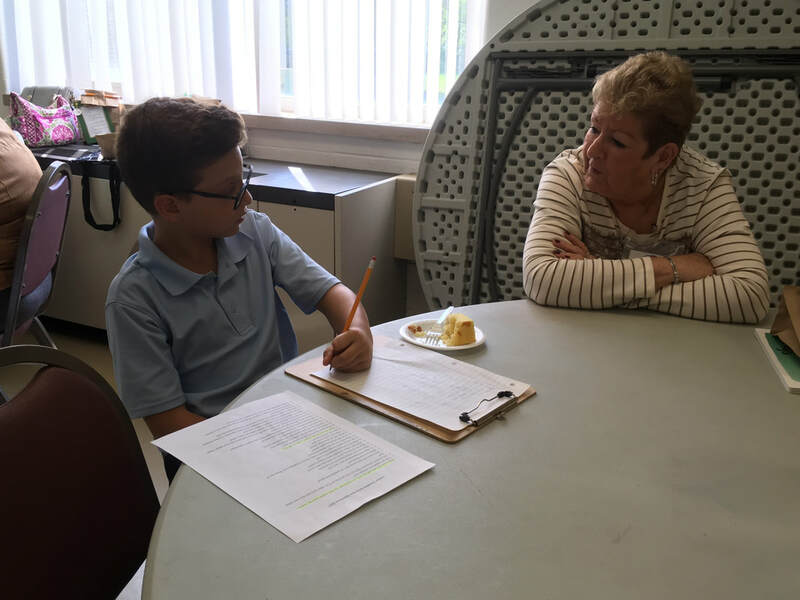 On Thursday, September 14, the fourth grade students from Ms. Vanden Bos’ class asked to interview members of our parish Senior Socialites group. 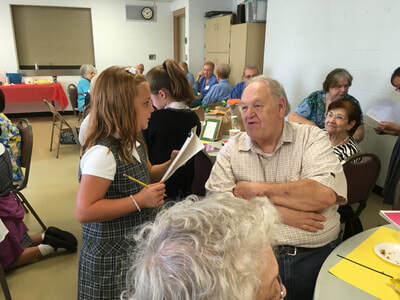 Each student was paired up with a senior to ask questions about their life experiences. 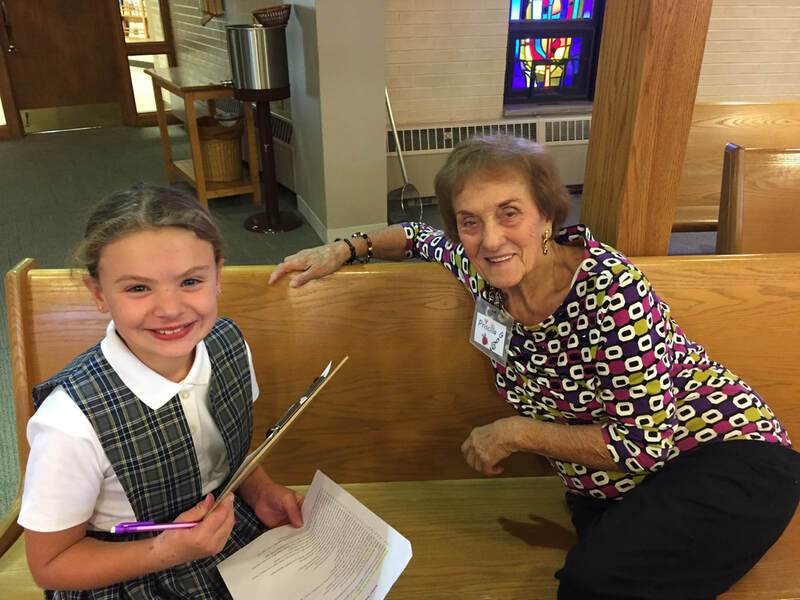 The students will write their favorite stories from these discussions, and they will be posted in the narthex for your enjoyment. It is so nice to see this continuing friendship between our students and the Senior Socialites! Below are some pictures from their interviews, and more pictures are available on the parish website st-phil.org. 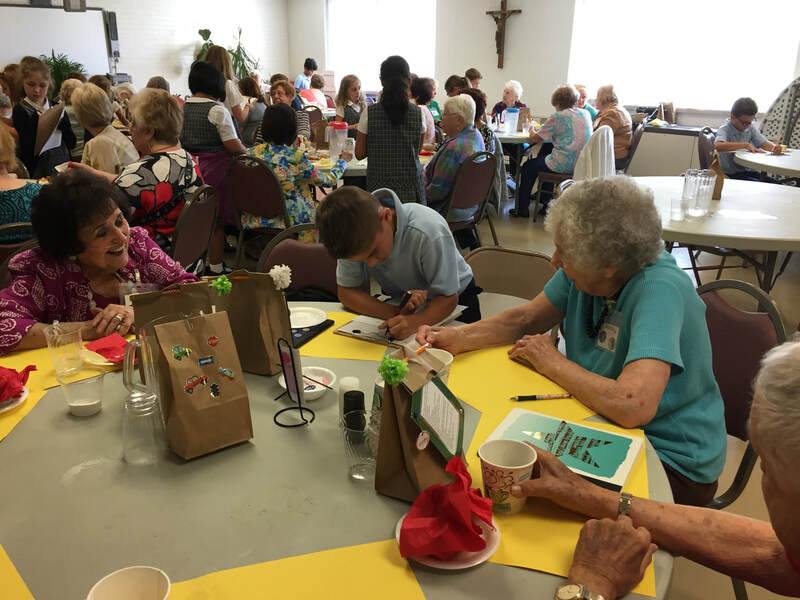 Thank you to the Senior Socialites for their time. 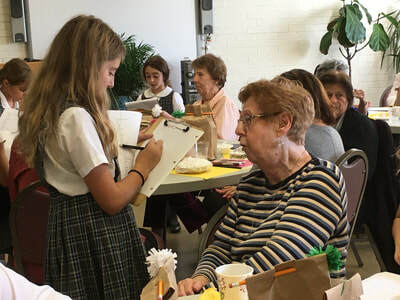 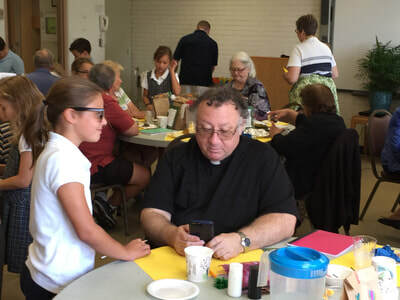 The Senior Socialites meet on the second Thursday of every month (except June, July, and August) at 12:30 p.m. in Room 1 for lunch, socializing—and occasionally to be interviewed!